Baltimore is often considered the lacrosse capital of America. It's also where Cisco Athletic is located, so it's no surprise that we take our lacrosse gear and uniforms seriously. With an abundance of youth leagues, high school teams and some of the top lacrosse colleges in the country nearby, there is a strong demand for top-of-the-line lacrosse uniforms for all ages — and we have every team covered. At Cisco Athletic, we believe it's important for everyone to have access to the most comfortable, stylish and performance-driven uniforms. 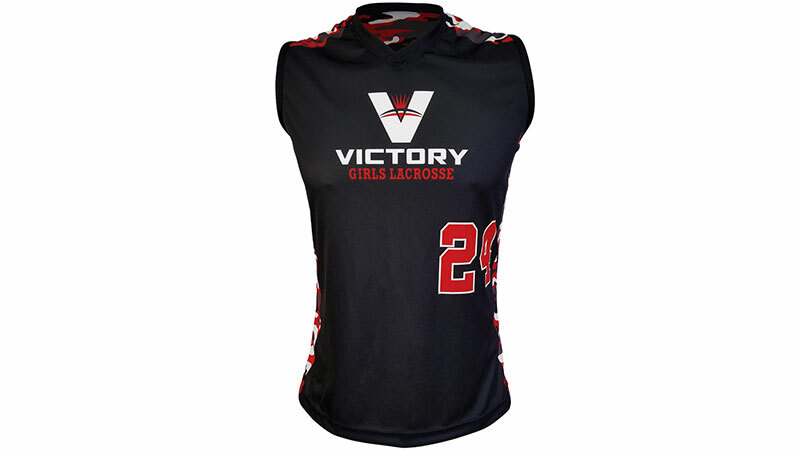 Our girls’ lacrosse jerseys, shirts and shorts are exactly what your players need to look, play and feel their best. From the highest-quality reversible uniforms with sublimated graphics to standard school jerseys, we offer a wide range of items to suit your teams' preferences and budget. Cisco Athletic makes premier girls’ lacrosse jerseys out of lightweight, comfortable materials that can be infinitely customized. Our unique camouflage and animal print designs can truly set your team apart. Our unbeatable sublimation technique allows us to print any design or logo you can imagine — no matter how complicated — without sacrificing range of motion. Our girls’ lacrosse shirts, jerseys and shorts are available in a number of fits and styles to help your young players remain comfortable and confident in all conditions. Our custom-made lacrosse jerseys are designed to help your players look and play their best. They're available in standard or reversible styles with sleeveless, cap sleeve, stove sleeve or racerback cuts. Our state-of-the-art sublimation technology allows you to choose any design and color combination without sacrificing fit, comfort or quality. Reversible jerseys are ideal for use at home and away games, while standard jerseys are another affordable and customizable option for budget-minded teams. All of our Cisco Athletic girls’ lacrosse jerseys and shirts can be made from a variety of moisture-wicking, antimicrobial mesh, poly and poly-Lycra® blends to suit your team's individual preferences. Every jersey is custom-made from scratch to suit your design specifications. Not all girls’ lacrosse teams prefer the same lacrosse shorts and bottoms, and that's why we offer a variety of shorts, skorts and kilts for youth teams. 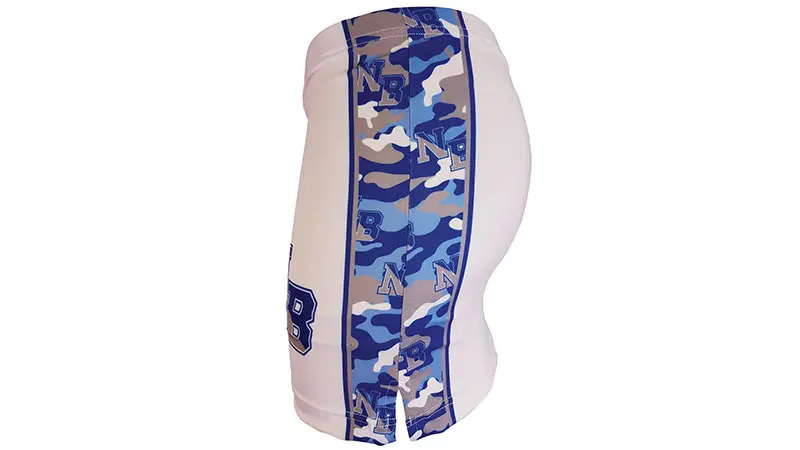 Similar to our lacrosse tops, we can apply your team's graphics to each pair of shorts, skirt or kilt; while maintaining each item's lightweight design and comfortable fit. We offer a wide range of inseam options, and all of our fabrics are snag resistant, which helps them endure more practices and games than the competition. Each pair of Cisco Athletic lacrosse shorts and other bottoms are made from scratch to suit your team's design preferences. Lacrosse is more than a sport; it's a lifestyle, so many teams like to show their pride through a number of customizable accessories that they can wear on and off the field. Whether you're seeking embroidered polo-style shirts, team hats or a number of other customizable items, our Cisco Athletic experts can make exactly what your players and coaches are seeking. Our customized lacrosse uniforms only require two to three weeks to create from scratch. If you're in a pinch, though, and need them sooner, be sure to check out our selection of in-stock jerseys from the industry's leading brands. Our Under Armour®, Champion, Alleson Athletic and Badger uniforms can be customized and at your door in a matter of days.